NOTE: This year has been declared the year of the mill in Delaware Co. I will be writing about old mills and their history during the year. On the 16th of January, 1789, Nicholas Fairlamb (who at that time also owned the Cobourn and Dutton Mill farther down Chester Creek) conveyed to John Sharpless the tract of land on which the Knowlton Mills are situated. No mention is made in this deed of a mill or mill seat. Indeed, in 1809, “the site of Knowlton was a perfect wilderness,” according to Smith’s History of Delaware County. On September 30, 1802, John Sharpless conveyed the same tract to Jonathan Tyson, with the right of a certain dam thereon. On November 15th of the same year, Tyson purchased of Elizabeth Grissel (Griswold) fourteen acres in Aston Township, located on Chester Creek, opposite to the tract he had bought of Sharpless, the deed specifically mentioned the dam rights, etc. On May 25th, 1807, Elijah Tyson, a son of Jonathan, bought of his father two hundred and fifty acres of land in Middletown, embracing the mill site, dams and water rights, and July 25th of the same year, the fourteen acres in Aston with right to abut dam against the shore of the creek. In this year (1807) for the first time, the name of Tyson appeared on the assessment roll in connection with mills, and at that time, Elijah Tyson was assessed on a saw mill. 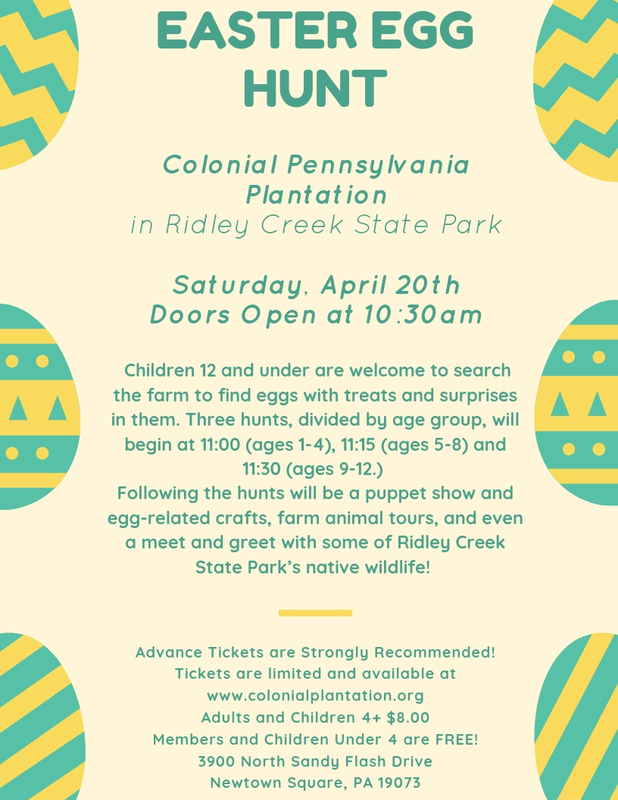 He continued to control the business until July 27, 1813, when he sold eight acres in Middletown, including the mill, mill-dam rights, etc. and fourteen and a half acres in Aston Township, opposite, with water rights, to Judah Dobson, of Philadelphia, who changed the saw mill to a rolling mill. Little information has been gained concerning this mill, but tradition asserts that it was a copper mill, and the road leading from the place to Village Green is still known as the Copper Mill Road. The venerable Hon. Edward Darlington of Media (now in his eighty-ninth year) stated the mill was known as Dobson’s copper mill, and was used for rolling copper into sheets. The mill does not appear of the assessment rolls for 1817, 1818, 1819, 1820, nor in that of 1821. THE DOBSON TRACT – On November 6, 1822, John Vaughan and John Hart, assignees of Thomas and Judah Dobson, conveyed to Samuel Love, “all that rolling mill and four tracts of land,” one of which is described as in Middletown on Chester Creek, containing eight acres, adjoining lands of Elijah Tyson, Abram Trimble, and others. Another tract was in Aston, and was partly covered by the mill pond, and was adjoining, and below the land of Elizabeth Grissel (Griswold). Samuel Love retained title to the estate until February, 1825, when he conveyed it to John D. Carter, who had been operating the Trimble cotton mill in Concord since 1813. In the deed to Carter it is stated that the rolling mill had been changed into a cotton factory, and that the “cotton factory, mill-dams, ponds, etc., and four pieces of land” were the properties embraced in the conveyance. In the “Report of the Manufactories of Delaware County,” made in 1826, the place is described as being “above the Dutton Mill on Chester Creek, in Middletown Township, a cotton factory forty by ninety feet, head and fall thirteen feet, owned and occupied by John D. Carter; has seven carding engines of twenty-eight and two of thirty-one inches, workers and strippers, two frames of four double heads each, two double speeders of ten bobbins each, one stretcher of forty-two spindles, eight hundred and eight throstle spindles, six hundred and sixteen male spindles; spins twelve hundred and seventy-eight pounds of cotton yarn per week, No. 20, with power to drive four thousand spindles, with all the necessary preparation. Employs about forty-six hands; tenements for thirteen families.” This property was owned by Carter until April 1829, when it was sold to Edward Darlington and Thomas Clyde, and Carter removed to the South. 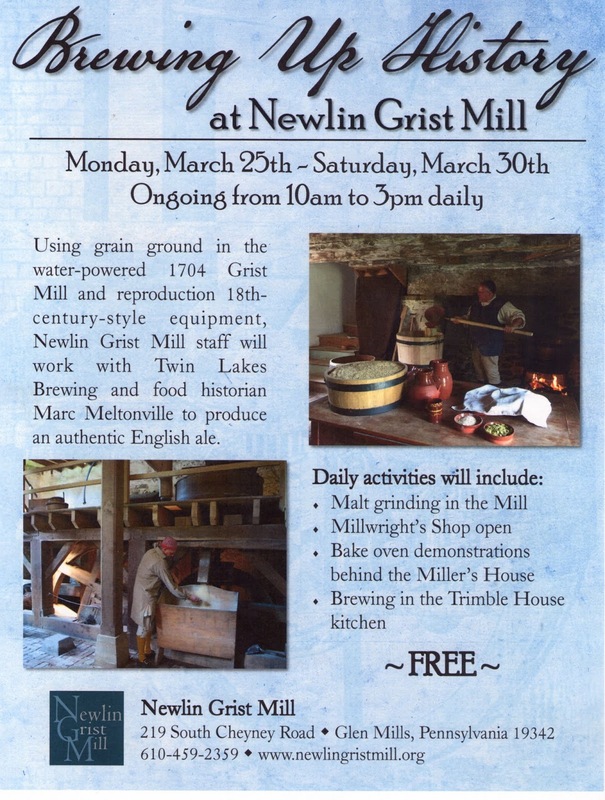 The mills were rented by Darlington & Clyde to Kershaw, Dean & Hill, who operated them until they were sold, March 4, 1832 to Robert Beatty and John O’Neill. At the time of the purchase there was a cotton mill and tilt mill on the estate. Beatty & O’Neill began at this place the manufacture of edge tools; but O’Neill soon withdrew from the firm and rented from Beatty, who had bought the cotton mill at Knowlton. CROZERS BUY IT – On January 7, 1834, the factory was with contents, entirely consumed by fire. On October 26, 1835, John P. Crozer bought the property containing the four tracts of land, conveyed in 1822 to Samuel Love, a tilt mill, saw mill, news building for factory, twenty-five by thirty-five feet, one brick and seven stone houses. After the sale Mr. Beatty continued the business at the place for a year or two, when Mr. Crozer erected a stone cotton mill, thirty-two by seventy-six feet, three stories in height. This mill was washed away in the memorable flood of 1843, and the next year the present stone building, thirty-three by eighty-five feet, three stories in height was erected. In 1846 Phineas Lownes and Abraham Blakeley commenced manufacturing at that place and continued until 1858 when it was operated by Mr. Crozer until about 1869. At the latter date the mill was leased to John B. Rhodes, who conducted it for several years. It was abandoned several years ago, and all the machinery removed. “Near the head-gates of the mill there was formerly the marks of a grave, the occupants of which tradition named Moggey and from that circumstance the crossing of the creek was named Moggey’s Ford. As Moggey had the reputation of making her appearance occasionally, it required so little courage in the traveler in early times to cross the ford at night.” The incident on which the tradition was based was that about eighty years ago an English girl disappeared from the locality, and although suspicion pointed its finger at the wealthy resident in the neighborhood as being interested in her disappearance, no action was taken. The marks of a grave at the head gates when in subsequent years human bones were discovered near the spot, and long after the suspected man had removed to a distant country, were spoken of in confirmation of the truth of the tradition of Moggey’s ghostly appearance. Rose Valley Mills some history. Prospect Park is 125 years old and an Easter Egg Hunt !! 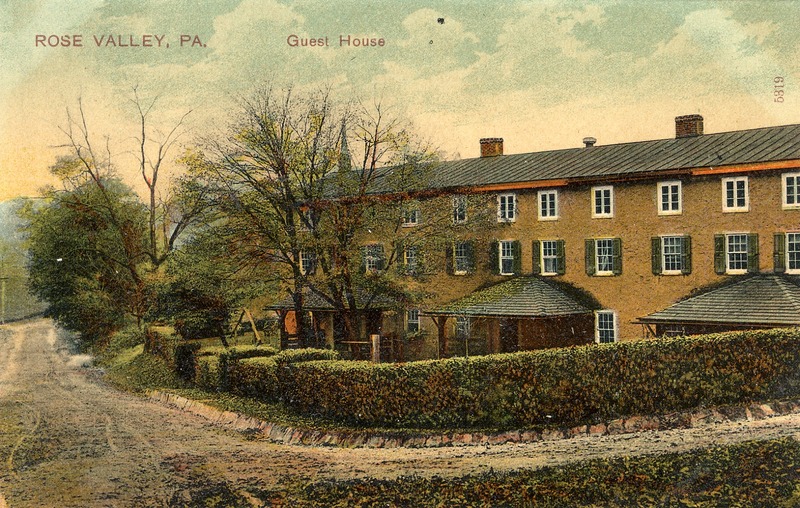 This postcard from c.1910 shows guest houses on W. Rose Valley Rd. These houses were originally built for mill workers. These buildings still stand. NOTE: The story goes Rose Valley was originally known as "Rogues Valley" because of all the mill failures. A mill owner changed the name to make the place more likable. The boro is named for the mills and ruins still exist. 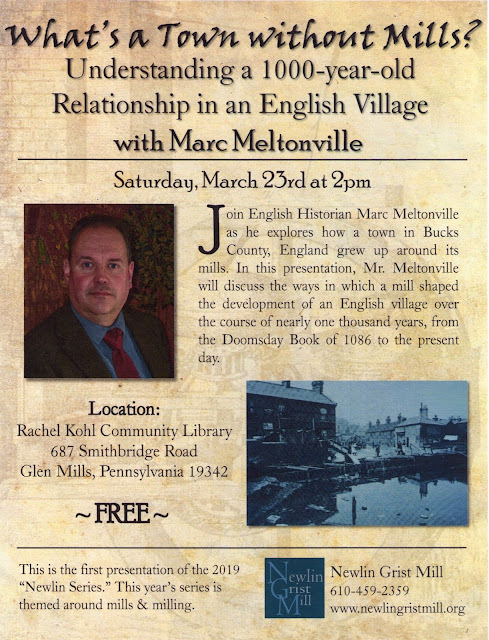 This years is mill year in Delaware Co. there will be lectures, talks and articles on old Delaware Co. Mills. ‘ROSE VALLEY MILLS,’ LOCATED ON Ridley Creek in Nether Providence, are worthy of prominent mention among the recent improvements of our county. The mill is in charge of Antrim Osborne & Son, the father being the proprietor and financial partner, the son the general partner. All the buildings of Rose Valley have been erected since 1862. 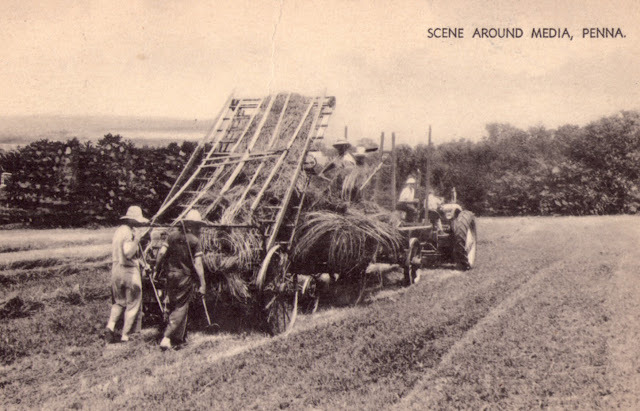 In that year the mill was erected on the site of Park Shea’s old paper mill. It is a stone house 30 by 40 feet, with dry, dye, and other houses attached. It runs 60 looms, and turns off from 50,000 to 55,000 yards per month of a light and good grade of cotton jeans. Two boilers are used, one a tubular, the other plain, with a 30 horse power capacity; these do the dyeing of and heat the mill. The entire machinery is now run by a new double acting turbine wheel, made by James Leffell & Company, of Springfield, Ohio. This wheel is 40 inches in diameter; the waterfall is about 12 feet, the wheel using about half the creek. It gives much better speed and greater regularity than the overshot wheel it displaced, has been running about two weeks, and is considered a complete success. It was put in by Eber Rigby, the carpenter regularly employed by the firm. Everything in and about the mill is in the best of order, and we believe that in cleanliness it will compare favorably with any in the county or state. Between fifty and sixty operatives and workmen are employed. The machinery was all newly put up in 1862, but the last year displaced about one-third of it with yet later improvements. It was all made by Jenks, of Bridesburg, well known to our manufacturers. The firm is about to add a new dry house, 25 by 40 feet, two stories high; and contemplate the erection of twelve new houses for the use of the operatives, next spring and summer. The homestead dwelling is of stone, upon a high hill near the mill, 38 feet front by 33 feet deep with kitchen, 28 by 16 feet. In front is a fine lawn planted with ornamental trees and shrubbery. Water is forced to it by a wheel, a distance of 500 feet from a spring of CHALYBEATE – water impregnated with particles of iron – healthy and excellent taste. The barn is a very fine structure 56 by 50 feet; with a wagon shed and carriage house attached 51 feet long – ice house underneath. On the opposite hill has just been completed a handsome frame dwelling, the property of William H. Osborne, and, we presume, to be occupied by him, when ‘in the dim distant future,’ he persuades the companionship of the one of the gentler six. Rose Valley can boast over a dozen buildings beside the mill, all erected during and since the year 1862 by Antrim Osborn, the entire work being under the charge of Eber Rigby, a carpenter and mechanic of the first class. It is said of him that in all this work, as well as in the erection and repair of the mill, mansion, &c., he has yet to make the first mistake. His is a record that any man should be proud of. The Valley and its surroundings will someday be picturesque and beautiful. The Osborne’s have only fairly ‘broke ground’ in the way of improvement and a few years continuance in the way they have begun will make it as fine a spot as any of which our county can boast. The hill bordering the eastern side of the valley was only recently a thick wood; it is now a clearing, and will doubtless soon bear the same marks of thrift and improvement as the one opposite, containing the homestead, &c. Four years have done much for Rose Valley under the direction of men who take pride in their work, and who seem to be winning the success which their skill and enterprise deserve. NOTE: Long time Media resident, V. Gilpin Robinson gave a talk in the 1920's on Media in the 1860's. A fun look back. “I came to Media when I was 16 years of age and have been more or less interested in the borough ever since. I was born in 1851, and Media was here one year before I was, and I am sure, that Media is lustier than I am, although we are about the same age. Media has had a slow growth, but I will endeavor to tell you something of the early days. “In back of the present jail site in those days was a tract in which each year camp meetings were held, and was the means of bringing many persons from the county who came to see the colored people ‘get religion.’ We also had lyceums on the tract, and I recall making a reputation for myself by delivering a recitation of a patriotic nature before the public at the lyceum. “At that time the feature of the town was the court house and jail. Media had been made the county seat. I recall at Front and Monroe Streets an old building known as the Continental. This building was later the site of the Shortlidge Academy. Previous to this, however, the row of buildings had been used as a poorhouse. When the almshouse was moved to Lima, the row of houses was sold to Aaron Jones, a noted character, and the location became a great nuisance, fighting any disorder being in evidence, and I recall an attempted murder, which was a sensational trial in this county. “The public road at that time came in over a section off what is now Washington Street, and came in at the Continental. The principal hotel at that time was the Chestnut Grove House, which was well patronized and a popular roadhouse. Later H. Jones Brooke conducted one of the most celebrated schools in the country and young women from all over the country attended, among whom was Mrs. William J. McKinley. Then we had a gas company. I was secretary, and my friend here, William Burke, also held a position there. The main stores of the town were Haldeman’s and the store of Mary Packard, which were the leading dry goods stores. The first grocery stores were conducted by the Blacks of Chester. They were finally conducted by the Hawley’s at South Avenue and State Street. E. H. Hall conducted a grocery store on the site where now stands the First National Bank. “The Delaware County Institute of Science then purchased a lot and erected a building. The brick work was done by a man from West Chester. I recall the bricklayers went on strike. Then came the Delaware County Record as competition for the American, and then the Media Ledger, Jack Robinson’s paper. The Masonic order was organized and the third floor of Buckley’s building was fitted up for meeting rooms. The organization outgrew the quarters and they moved to the Shearer building. “J. Howard Lewis, a successful paper manufacturer of Philadelphia, and a well-known fox hunter, then had Gleave Hall erected. He was always very proud of the building and on the stone is the name Gleave Hall and the fox hunt emblem. Then came the Delaware County Mutual Insurance Company, then housed in a frame office building on State Street. “Then we had the present water works. I recall a bitter fight at the time when the people in Moylan wanted to use the water out of the creek. Next came the successful Media Building and Loan Association, which was started by Charles R. Williamson. In 1890 we started the Media Title and Trust Company by subscribing for stock. Of the original stockholders living I believe there are four, Samuel Hill, George Drayton, William M. Parks and myself. “The Episcopal Church was supported principally by the girls from Brooke School. Each Sunday they attended the service in the body through Miss Eastman, a teacher. Then Mrs. Hickley donated a rectory, which still stands in memory of her late husband. 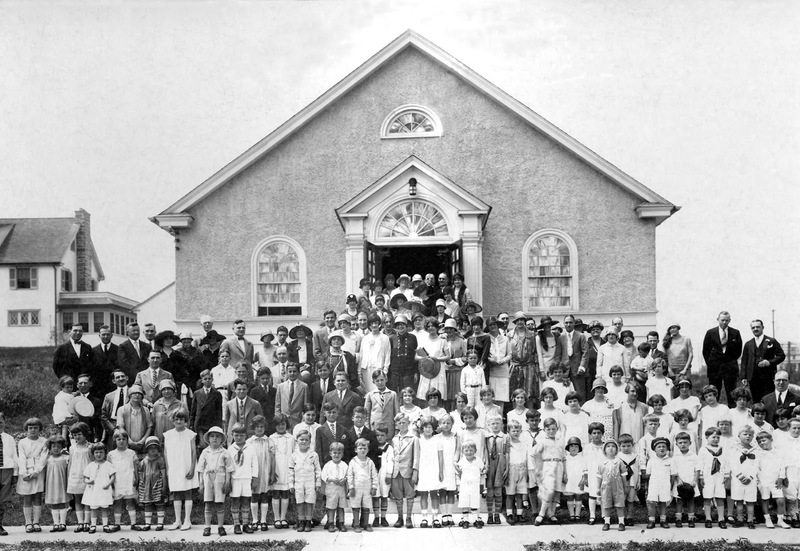 The Methodist Church was very active at that time, as it is today. The Presbyterian Church was here and active and the Roman Catholic Church was in a small structure which has been replaced with the beautiful edifice now standing. The Baptists were modestly going along at that time. Two enterprising men at the time were James R. Cummings and Joseph G. Cummings. The former was a real estate man and the latter conducted a book store on State Street. Other men who pushed Media ahead as I recall them are Charles R. Williamson, Wes Brodhead, who erected a building which was used as an armory; Bill Mathues, who became a political leader in the county; Isaac N. Flounders, one of the best builders that was in the county; Jesse Baker, who served in the legislature and in the State Senate; Fighting Jack Robinson and Caleb Hoopes, who was sheriff of the county at one time. “Transportation facilities were nothing compared with today. 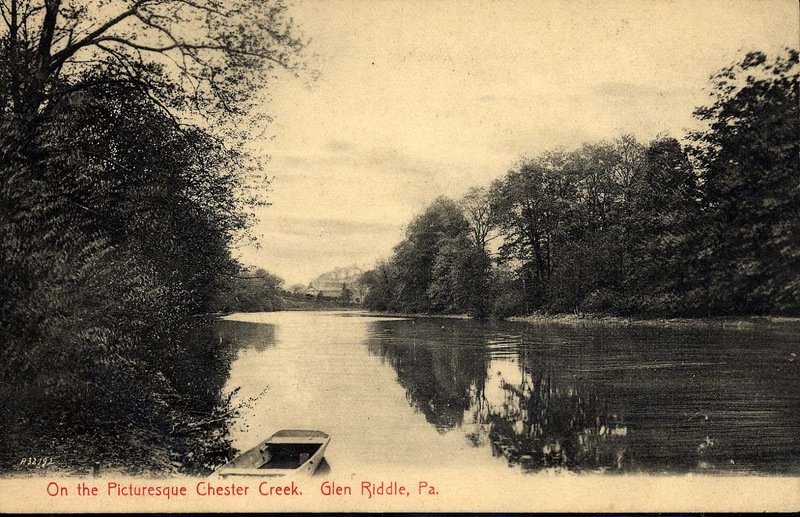 The only method of travel was on the West Chester and Philadelphia Railway. They used the hand brakes in those days, and it was amusing to see the brakeman rush to the car platforms and put on the brakes when the engine whistle gave two blasts, announcing it would stop. Lawyers from Chester then had horses and carriages. I walked to Chester to see my mother each Saturday and back on Monday unless some of the good lawyers would pick me up on the road. Then they built the Chester Creek Railroad and operated a stage line. “Media at present has excellent transportation facilities. It has a new court house to compare with any in the state; First National Bank building, Media Club , Business Men’s Association, hospital, Women’s Club, Town Hall, and a fire company second to none in the county, armory building, new post office building, library and the bank building we are erecting which means an expenditure of approximately $100,000. “The valuable assets to the future of Media are the men. Men make a community. Looking around see assets in Makiver, Allison, Rigby, Fussell, Green, Dr. Dickinson, Dr. Schoff, Dr. Clark, Dallett, Fronefield, Pierson, Snowden and Volkhardt. The future rests with you men. Your town council have your interest at heart and you should help them. They are the ones who expend your taxes and make assessment on your property and have the good of the community at heart. You should help them in every way. “Media should have a sewer system. You should free yourselves of ignorance, and free yourselves of ignorance and free yourself of jealousy because one man might want to be a leader. The sewer system should be in the borough. Builders are forced to dig cesspools at great cost which would be saved if a sewer system was installed. “Media is not a good location for manufacturing. You should have an up-to-date hotel building on Washington Street, which is part of the main highway to Philadelphia and New York and points in the south. Media should have up-to-date apartment houses, which will be a factor to many in the kitchen help difficulty. These apartments should be erected near an open plot, where if there were children they could have breathing space. “You should compel the railway company to have better service from Media to angora, whi9ch would mean much to Media and adjacent property. You should have playgrounds, and above all things you should encourage the Boy Scouts and Girl Scouts. In 10 or 15 years from now they will be the asset of pushing Media ahead. At the conclusion of his talk, Mr. Robinson read a letter from the National Surety Company of New York, asking him to cooperate in the suppression of crime. The part they ask to encourage a formation of an honesty instruction committee. Village Green 1 room Schoolhouse will be open this Sunday april 7 from 11 - 2. Next to Aston Vet. on Pennell and Old Pennell Rds. NOTE: In 1907, state senator, William C. Sproul told the college he would pay for a telescope and observatory for the college. 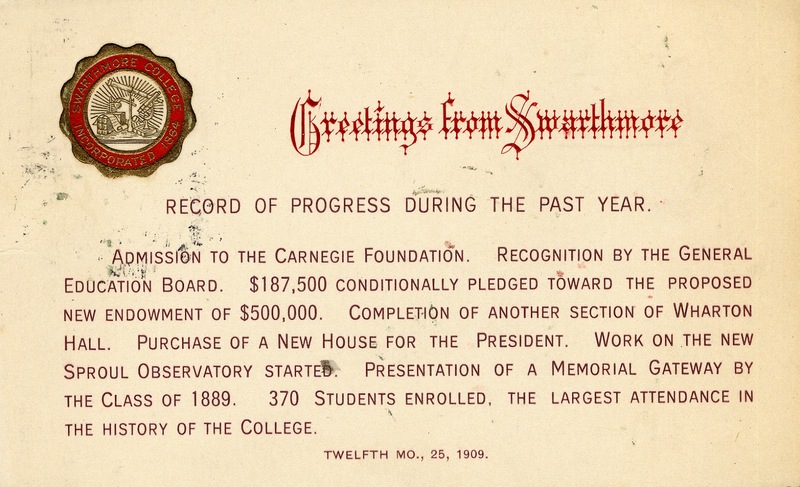 A 1891 Swarthmore College graduate Sproul was a successful businessman and later would become governor of Pennsylvania. Sproul Rd. is named for him. The new observatory at Swarthmore College, in which is to be housed the great telescope which is to be housed the great telescope which is the gift of Honorable William C. Sproul, of Chester, is under construction and will be completed during the present season and ready to receive the great equatorial telescope when it is completed. The present site of the President’s house at the southwest corner of Parrish Hall has been chosen for the observatory. The front part of the new building will contain a lecture room with seats for seventy-five students, a computing room, a library, an office, and a dark room. Back of this will be the great circular building with a revolving dome forty-five feet in diameter, framed in steel and sheathed with copper. The telescope will be set upon a pier built up from the foundations set deep in the ground, and underneath it will be a solid floor beneath which will be a repair shop and storage room, a photographic storage room and other apartments. The new twenty-four inch telescope which will be one of the largest in the eastern section of the United States, is now being constructed by the John A. Brashear Company of Allegheny. The principal lens, which is twenty-four inches in diameter, has been made in Germany. A great deal of difficulty was encountered in getting the lens, and nearly two years have been required in its making and finishing. The least flaw or roughness makes it useless for astronomical purposes, and is a rule several attempts must be made before a successful lens is found. The old observatory on the eastern side of the campus is particularly equipped for the purposes of instruction. It contains a smaller telescope of six inches aperture, with a spectroscope and a transit telescope; a mean time and sidereal clock, a chronograph and a reference library, together with the new photographic telescope of nine inches aperture, which is the first of the Sproul equipment to be completed and with which a great deal of very successful photographic work has already been done in the heavens. There is also connected with the observatory a signal service station of the Weather Bureau, and a fine seismograph, an instrument for the detection of earth tremors and with which earthquakes are noted. William Provost, Jr., of Chester, is building the new Sproul Observatory for the College, so that Chester artisans under the direction of a Chester contractor are doing the work of housing this gift of a Chester citizen. 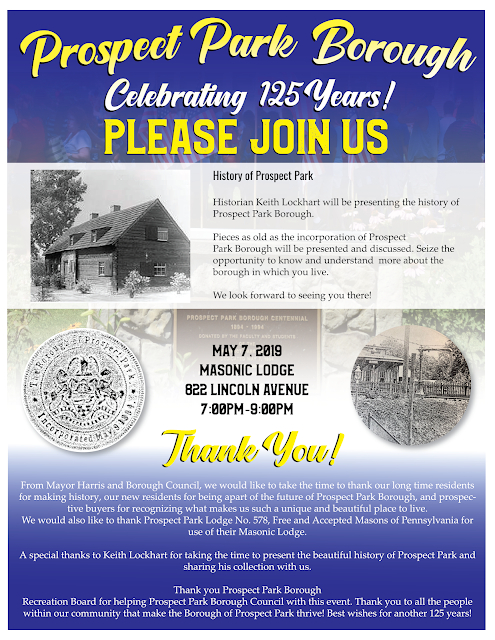 The Times is indebted to the Swarthmore Republican, the bright and energetic local newspaper in Swarthmore borough, for the use of the above excellent picture of the new observatory. In 2009, Swarthmore College added the Peter van de Kamp Observatory to the newly built Science Center. The new observatory contained a more technologically advanced 24" reflecting telescope and replaced the Sproul Observatory for education and public outreach purposes. In 2017, the telescope was dismantled and moved to the Eighth Street Market in Bentonville, Arkansas restored, upgraded and used for public outreach. The book collection of the Sproul Observatory was donated to an astronomy center Magdalena, New Mexico. In 2017, Swarthmore unveiled plans to renovate Sproul Observatory which will transform the observatory into the James Hormel and Michael Nguyen Intercultural Center at Sproul Hall which will bring the Intercultural Center, Interfaith Center, Religious and Spiritual Life Center and the Office of International Student Services in one building. 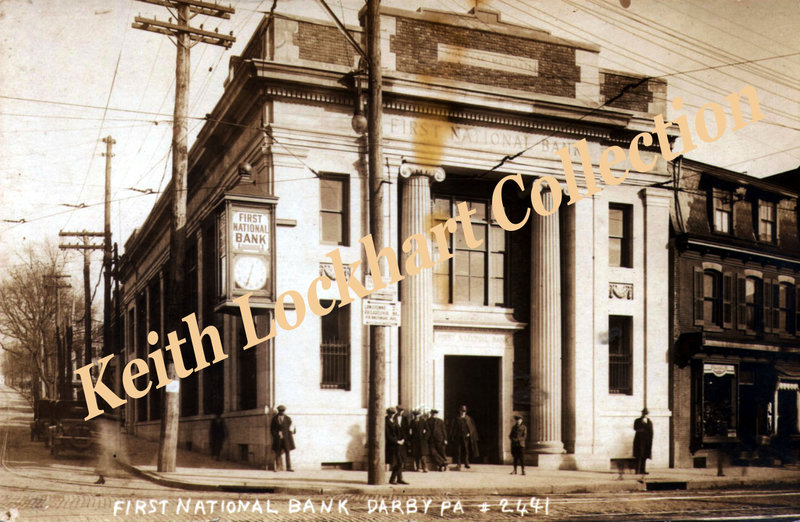 The First National Bank of Darby from c.1924. The building still stands at 9th and Main Sts. and is a business today. Preliminary work was today begun on the erection of a new bank and post office building at Darby, representing an outlay of about $200,000, including the ground. The new buildings are being erected at the corner of Ninth and Main Streets, by the First National Bank of Darby, the contract for their construction having been let to F. L. Hoover & Sons, Incorporated, of Philadelphia. The buildings are to be by far the handsomest in Delaware County’s largest borough and are destined to mark a new epoch at the junction of the old Darby Road and the Chester Pike. The bank will be erected on the corner now occupied by the drug store of Cloud & Shinn, and the store adjoining which was just vacated as a meat market by Richard Purdy. The post office building, while entirely separate, will join the bank in the rear and will have a frontage on Ninth Street, occupying the site of Elmer Raab’s old plumbing shop. While it has been known for same time past that the bank was to rebuild, the matter of the new post office was not definitely settled until about ten days ago, when word was received from First Assistant Postmaster General John H. Bartlett that the post office department had agreed to a lease on the proposed new building for a term of five years, beginning July 1, 1922. The post office is at present located in the office building opposite, built by A. F. Damon, Jr., about nineteen years ago. This was the site of the first post office Darby ever had when it was established more than one hundred years ago. The buildings which are from plans prepared by Bunting & Shrigley, architects, will be constructed on Indiana limestone, with tapestry brick trimmings. The bank will be 40 feet in width and will have a depth of 103 feet. Particularly designed against thuggery it will be as nearly fireproof and burglar-proof as is possible to make a banking institution. Both floor and roof will be of concrete. Four immense columns extending to the roof will give the front of the building a most imposing appearance. There will be two large vaults, one for banking purposes, the other a safe deposit vault. The second floor, rear will contain a bookkeeping department, board room and girl employee’s rest room. An interesting feature of construction of the buildings lies in the fact that they will be two feet from the line of the present old structures on Ninth Street, and on the main street front the pavement will taper from sixteen feet to eight feet, thus straightening out a very ugly building line, which has long been an eyesore to the town’s business belt. 58 feet. The first floor will be solely for use of the post office department, while the second floor will be divided into eight offices. In the basement, there will be two shops in the front. On the north end of the building there will be an alley; fifteen feet in width where mail trucks may unload. Upon completion of the post office building, Cloud & Shinn, druggists will occupy the room at present occupied by the post office, and while construction work is in progress, will be located in the corridor of the old post office. Work of fitting up the corridor for a temporary store is already under way. Mr. Damon, owner of the latter building, plans to completely remodel the first floor of the structure. Druggist Cloud has occupied the site of the new bank for thirty-five years. He is building a residence on Lincoln Avenue, Yeadon, which he will occupy upon completion. SOME LOCAL HISTORY – The First National Bank of Darby was first opened for business October 9, 1890, occupying quarters in the first floor of the old Peoples’ Hall Building at 684 Main Street. The present bank building at 888 Main Street was occupied for the first time August 4, 1892. Since that time the bank has been enlarged to twice its original size. When it was first instituted it was capitalized at $50,000. It is now capitalized at $100,000 with surplus and profits of about $166,000. J. Serrill Verlenden, president of the bank is a son of the first president, WW. Lane Verlenden, who held that position from the time the bank was organized until his death a year ago. The site of the new bank has been one on which business has been conducted ever since pre-Revolutionary times. In the early days of the town, it contained a noted road house called, “The Ship.” This old inn stood at the corner for nearly one hundred years. It was licensed in 1735 and continued as a licensed house until 1833, when it ceased to exist as a tavern. Two sister, Tacy and Sidney Smith kept it from 1804 until 1833.
wind for three quarters of a century, all through the stormy days of the Revolution, was battered to pieces during the War of 1812 by some men and boys. A new sign with the Stars and Stripes took its place and continued to swing until the old tavern passed out of existence. In later years the site was occupied by two frame buildings, occupied for many years by Hugh P. Lloyd & Son as a general country store, and later by Charles Worrrall. About fifty years ago, the old buildings were destroyed by fire during the absence of the family. Three brick stores were erected in their place, two of them being the buildings owned by the Darby Home Protection Society. The latter society bought the property in 1887 after it had again been occupied as a saloon. Two years ago, the site was bought by the First National Bank. The Long and Short of it, The 100 year ago battle over, Skirts? 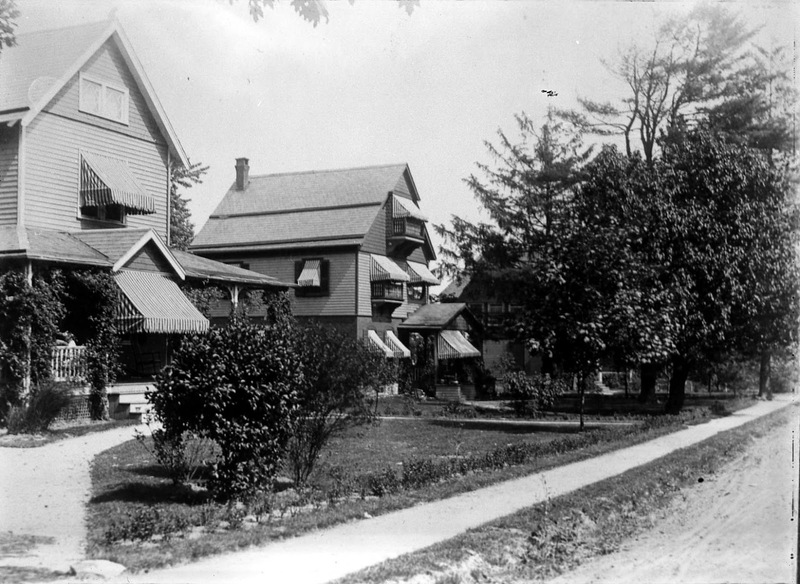 I hope one of my readers recognizes these houses or street, an unknown picture from my collection. Note: While doing some other research, I came across this article in the Chester Times about the battle over long and short skirts from 100 years ago. My mother was a teenager in the 1920's and told me about the battles she had with her mom over what and not what to wear. A fun article. The conflict between the long skirt and its knee-length sister is steadily growing bitterer and more desperate. It has degenerated, as it inevitably must into a contest of streets – a battle between Fifth Avenue and Broadway. And sisters just because Fifth Avenue is Fifth Avenue and Broadway is Broadway, don’t rush in too early and decide that it’s all over but the cheering. Fifth Avenue has been defeated before in this never-ending contest for style supremacy and may be again despite the fact that Paris is definitely allied with the “Avenue” folks. The “comeback” of the long skirts is not popular with Broadway, because Broadway works and the ease and comfort of the short skirt has earned and indelible place for itself in the mind of the American girl. The knee-length skirt is “smart;” it has “snap” and ginger. It’s not hard to see it requires less goods and frankly, there are very few women living who do not believe but that they present a much more effective appearance in the short skirt than in its trailing prototype. And what makes this popular adherence to the short skirt even more remarkable is that it has occurred in the face of the desperate efforts of American and European dress manufactures who have exhausted every effort on the part of press agent and ballyhoo to make it appear as if the abbreviated skirt was doomed to be relegated back to the beaches and the chorus. To date, however, the American girl has not been appreciably stampeded. CONTRAST IS SHARP – The contrast was sharply illustrated recently at the opening of the fashionable race meeting at Belmont Park. In the boxes Mrs. William K. Vanderbilt, Mrs. Payne Whitney and John Whitney and Mrs. F. C. Convere all showed their loyalty to the long skirt. Mrs. Convere’s skirt was particularly long, sweeping the very grass just as her mother’s did back in the days of the bustle and train of 1893. On the other hand another group including Miss Barbara Brokaw, Miss Beatrice Batterman and Miss Marion DeRahm, appeared in short skirts, slip-on sweaters and mushroom hats. The brutal facts in this long and short skirt contest are that the “young” ladies past thirty-five are generally found supporting the long length ideal, while the “flapper” and those just growing out of the flapper period are still able to see much of an attractive nature about the short skirt – and, of course, in this they are not entirely alone. If the question of the short or long skirt were placed before the Town Meeting it’s almost a certainty that the “eyes” would have it. FASHION NOTES – Slip-on sweaters of chiffon, alpaca and Shetland are popular. There is a rumor that one of the New York corset and brassiere manufacturers is going to produce a new form-fitting brassiere. Women who wear brassieres have never been content with the tight straight bandeaux and brassiere that give one that shapeless appearance. This new brassiere promises to support the bust and at the same time leave an indentation at the center from which any figure should have. White sandals with blunt toes that are like children’s shoes with cut work over the toes are popular with sport clothes. Many of the summer sunshades are small and doomed-shaped. At the Greenwich Village Fashion show the most noticeable novelty was the hand-painted legs. Many of the models were stocking less with designs of batik painted upon their limbs. Why paint the lily? Note: Real Estate advertising has changed a little bit in the last 100 years. The story below is an advertisement for the then new Drexel Hill development. It epitomizes the advantages of DREXEL HILL, as you folk know them, in a manner that will attract the attention of hundreds of desirable people, who, during the coming months will be seeking homes outside the city. 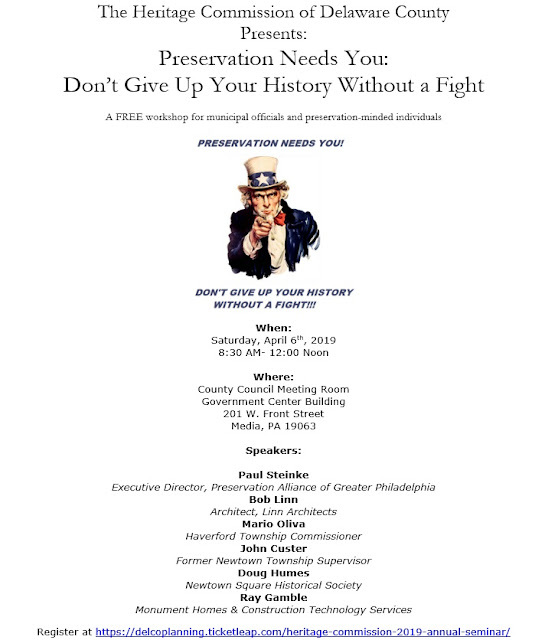 Every pleasant Sunday or Saturday afternoon, DREXEL HILL is going to be the Mecca of hundreds of city residents, who come to look, skeptical perhaps of the advertised beauties of our suburb, but many of whom will remain to purchase and to residue here, as soon as a home can be provided. The beautiful streets of DREXEL HILL, with their wealth of trees, shrubbery, well-kept lawns, the air of contentment and prosperity that pervades the community, have their effect on the first-time visitor. On Aronimink Tract work is being rushed as fast as human ingenuity will permit. Our new office building is ready for occupancy, the larger quarters will permit us to increase our facilities for handling this rapidly expanding business. The road from Aronimink Station to State Road has been temporarily closed that it may be surfaced, just as soon as the sewer and water pipes are laid. Woodland Avenue, north of and paralleling the Media Short Line, has been graded, ready for early surfacing, from School Lane to our new office building. On this street, five houses are already in process of completion. Over $300,000 worth of property has been sold in Aronimink Tract. A number of properties in the restricted business section have been sold, and in a short time several stores, among them a modern drug store, will be erected. In about ten days’ time, operations will begin on the Hipple Place, now known as Aronimink Gardens. A very gratifying feature of the development of DREXEL HILL is the return of former residents. Mr. William C. Patterson, formerly of Maple Avenue, has bought close to $30,000 worth of property on State Road, where he will soon be occupying a new home. Mr. Washington Cope, formerly a resident of Turner Avenue, is going to build on Woodland Avenue.